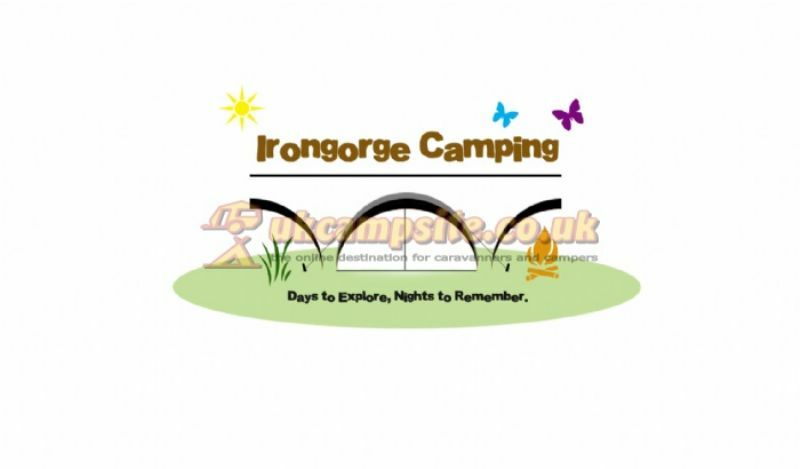 Iron Gorge Camping -"Days to Explore, Nights to Remember". 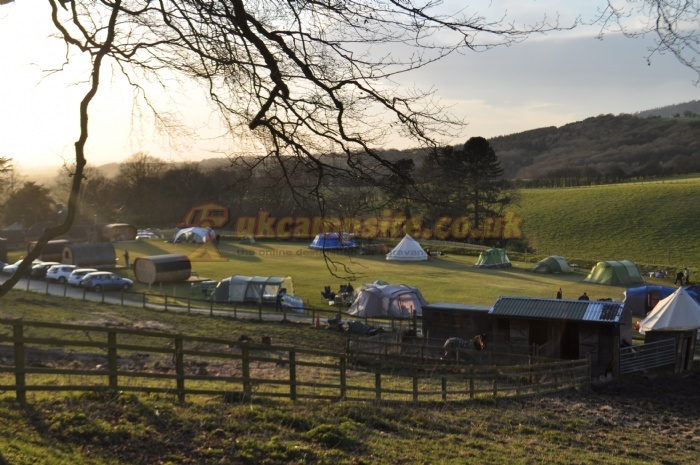 Iron Gorge Camping is located in a hillside position above the Severn Gorge, on a 14 acre Smallholding giving the feeling of remoteness yet being within a mile of the World famous Ironbridge, making it the ideal base to explore the birth place of the industrial revolution whilst enjoying the beauty of the Severn Gorge. Whether you enjoy history, cycling, mountain biking, fishing, canoeing, walking or just taking it easy this is the perfect location for your getaway. 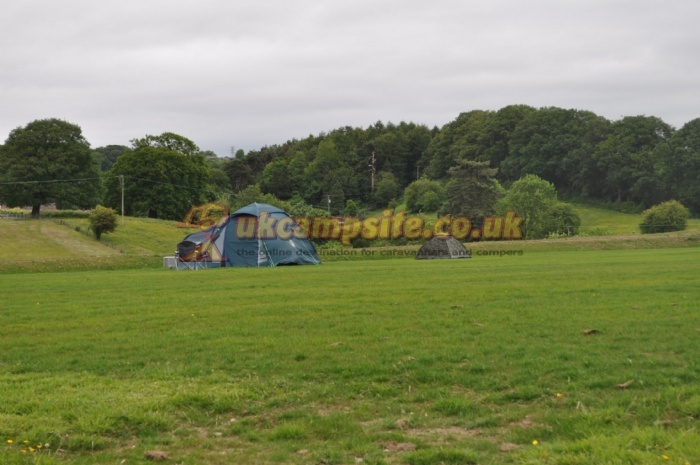 It is a strictly tent site only so no caravans or trailer tents please. 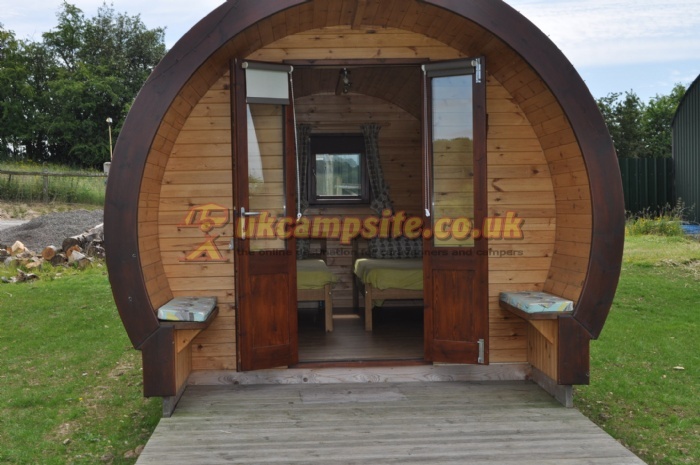 We have a Hand crafted Gypsy style furnished camping pod (which sleeps two) priced at £45 per night, for those who prefer the luxury of a real bed. 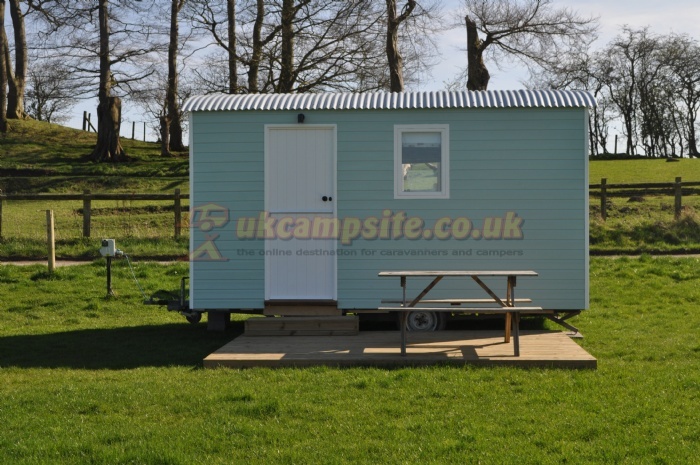 This is well insulated keeping it warm in winter but cool in summer allowing it to be available all year round; it comes equipped with an electric kettle, an electric cool box and heater. 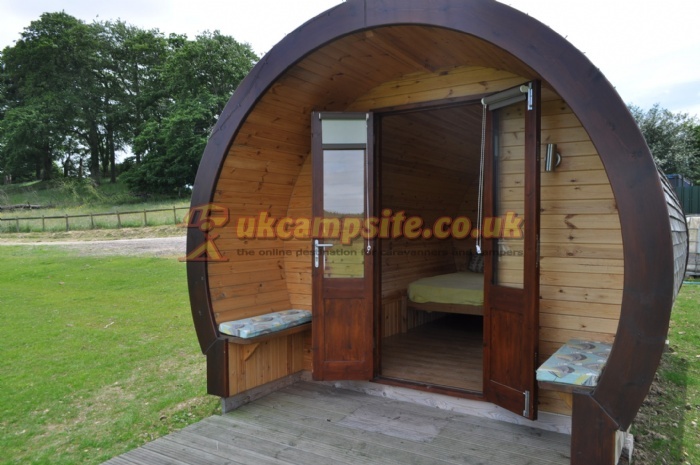 The Lupin/ Posy / Vanilla/ Iris Family Pods :- Priced at £60 per night per Pod . 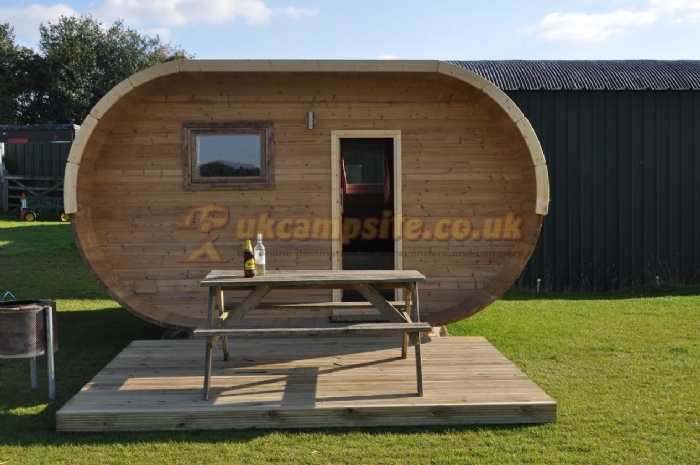 Barrel shaped pods offering all year round accommodation sleeping up to four (two night stays minimum over peak season, one night available other times) . Facilities include a double bed and two berth style single beds (all with bottom sheet and pillow in case provided), heater, electric towel rail, electric kettle, electric cool box and picnic table. Just bring your cooking gear and duvets. 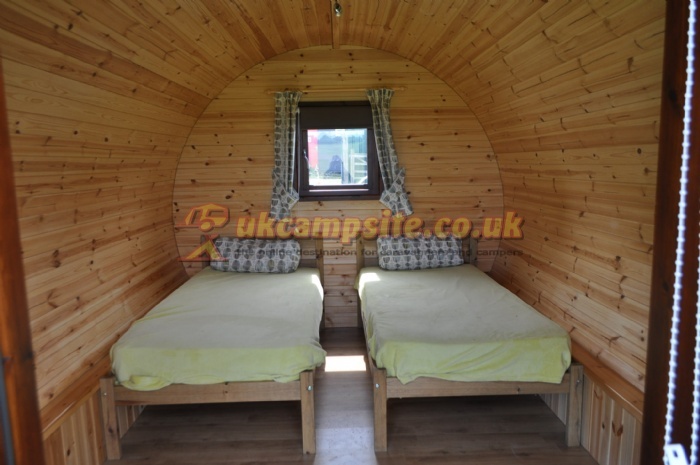 The Shepherds hut which provides a dinning area which converts into a double bed, and bunk beds (bottom sheets and pillows in cases provided). It is equipped with a microwave, fridge, electric kettle and electric fire. 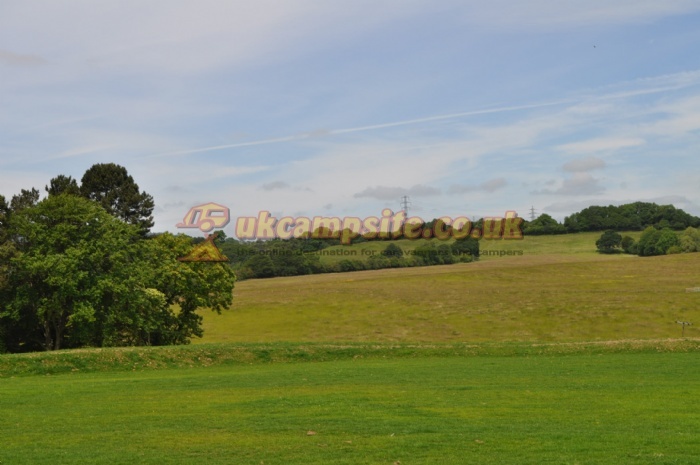 Outside there is a decked area, picnic bench and firepit, Priced at £70 per night. 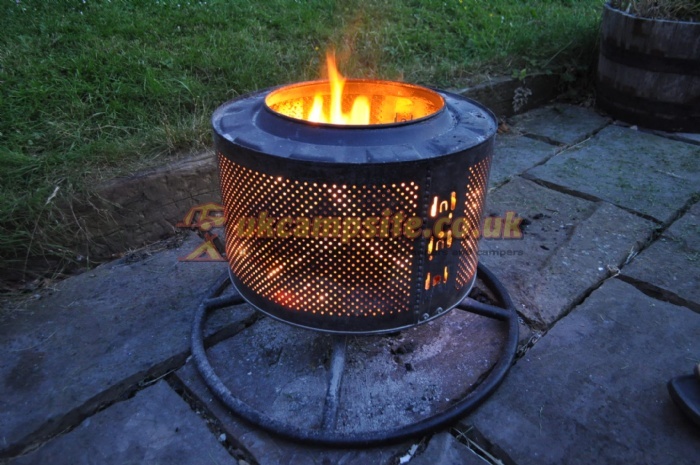 Campfires are allowed in our specially made reclaimed washing machine drum fire pits allowing you to cook over a fire. Dry logs and BBQ coals are for sale and can be delivered to your pitch. There is a newly built toilet / shower block, and also a washing up area. Well behaved Dogs are welcome but must be kept on a lead and controlled at all times. We also ask that you clean up after your dog. 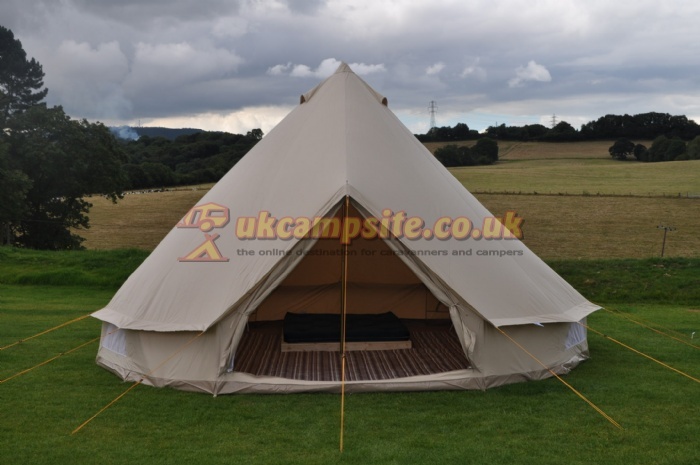 The site is situated within a mile of the world famous Ironbridge . Ironbridge gorge has a total of ten museums five of which are located within a twenty minute walk of Iron Gorge Camping including the award winning Enginuity which is a science and technology centre packed with hands-on activities and interactive exhibits. Just a ten minute drive away is Blists Hill Victorian town where you can experience life as it was a hundred years ago, visiting Victorian shops or the school room where you can experience Victorian teaching and appreciate how lucky the children of today are! 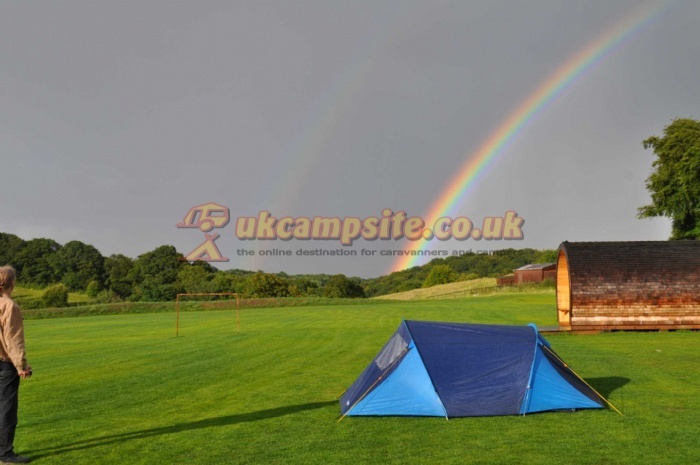 The site has looks over towards the Wrekin hill allowing easy access for those wishing to climb or mountain bike and experiences the fabulous views that the summit offers. From Ironbridge- cross the mini round about at Dale End (co op)turn right up station road passing under a railway bridge (do not go up Strethill road as it is a dead end) continue up the hill until you get to a track that states unsuitable for heavy goods vehicles. Turn left up the track and continue until you get to the large tree keep left and you will reach a tarmac road passing the first house turn left into the field and up the track. You have arrived.